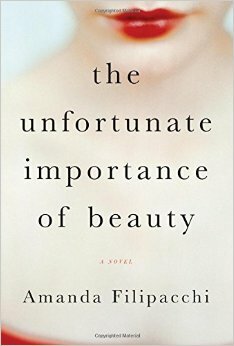 There are three interrelated plot strands to The Unfortunate Importance of Beauty, a highly imaginative tale set in New York City. Barb is a beautiful woman and a successful costume designer. When a dear friend commits suicide because his romantic love for her is unrequited, she is deeply affected. She sees her beauty as a danger to others. She also comes to think that the attraction to physical beauty causes men’s love for women to be ultimately shallow. She wants to be loved for her deeper qualities, not her physical beauty. “There is power in beauty. That’s the tragedy of it,” she says at one point. The third strand of the plot is that among their set of common friends appears to be a murderer. The story is so extreme as to be not very believable, and when Lily acquires the ability to compose music that radically affects people’s perceptions, it turns into outright fantasy. Miss Filipacchi effectively creates and combines comic and serious, even touching, scenes and juggles the three plot lines with aplomb. But I have complaints. Lily’s story has a happy ending, but it is contrived and seems tacked on. The mysterious murder plot is also resolved in a disappointing way. It seems that the author’s desire for happy endings ultimately undermines the strength of the engaging tale she has been telling, or perhaps she does not know how to bring off worthier endings, given the deep issues with which the novel deals: the nature of romantic love and how deep we ought to demand another’s romantic love for us to be. Yet Barb’s tale closes in a thought-provoking way. 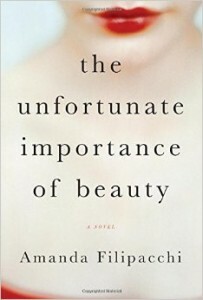 She decides not to test a potential lover to see whether he would love her were she not gorgeous. Does she think the test pointless, or does she not want to do so for fear of what it will reveal? It is a pity that the novel does not provoke that sort of reflection overall. As it is, the tale is an imaginative and sophisticated one on the nature of romantic love. Just be ready for an ending that, it seems to me, largely fails to live up to the quality of the narrative that precedes it.